The area is drought declared. The river should be flowing a banker and the surrounding land lush and green as the Macquarie Marshes should be. 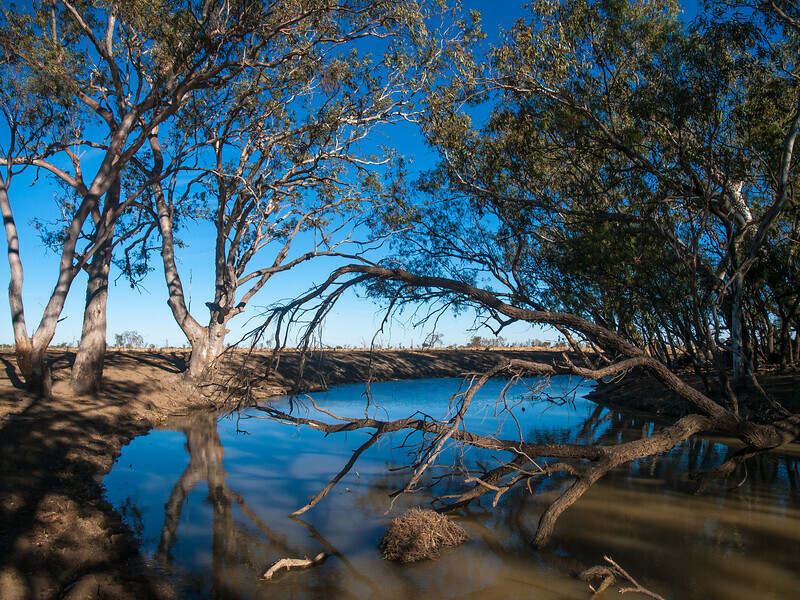 Apart from the drought, much of the lack of flow and resulting devastation of former marshland is due to excessive agricultural use of the river water.